The Benefits of Antioxidants - Nature's Superheroes! This guest article sheds some light on these valuable aids to natural health. Wandering down the vitamin aisle at your local supermarket, you may have noticed the word "antioxidants" screaming at you from a wide variety of bottles. It's clear to you, based on the frequency and intensity with which it appears, that antioxidants are something important and desirable, but you may feel like those who have attended Ph.D. programs are the only ones able to decipher what antioxidants actually are. For that matter, you may also have a few other lingering questions, such as why are antioxidants so important? Can they be consumed without swallowing a wide variety of pills? According to the National Cancer Institute, antioxidants are substances that your body uses to prevent damage to your cells. Your body is constantly under attack from free radicals, unstable molecules that act like foreign invaders. Your body also produces free radicals naturally as a by-product of the chemical reactions that are constantly taking place in your cells. Once free radicals find their way in, they quickly create more free radicals, resulting in a sort of domino effect. Antioxidants render free radicals harmless in a number of ways. They may provide that extra missing electron, or completely down the molecule. This also results in a boosting of the immune system, allowing our bodies to fight off infections and other damage -- everything from the common cold to cancer. This action (making free radicals harmless) is one of the main benefits of antioxidants. How do you find antioxidants? 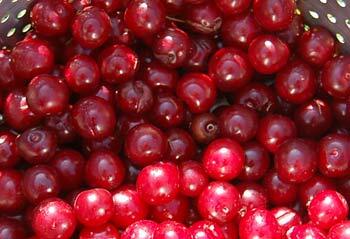 You probably are already familiar with several antioxidants, even if you have never thought of them that way. Vitamin C and E are antioxidants, as well as beta carotene. Vitamin C, or ascorbic acid, is a water-soluble vitamin that is found in a variety of fruits and vegetables such as citrus fruits and juices, cabbage, green peppers, spinach, broccoli, kiwi, kale, cantaloupe and strawberries. It protects the watery interiors of cells from free radicals. The recommended daily allowance of vitamin C is 60 mg. Taking an excess of 2,000 mg may cause some adverse effects, like bloating and gas, nausea and an upset stomach. Vitamin E, also known as d-alpha tocopherol, is a fat-soluble vitamin that can be found in a variety of nuts and seeds, as well as vegetable and fish oils. Whole grains -- especially wheat germ, fortified cereals and apricots are great sources of vitamin E.
Due to the fact that it only dissolves in fats, vitamin E specifically protects the cell membranes from free radical damage. The recommended daily allowance of vitamin E is 15 international units for men and 12 international units for women. Although generally safe in higher doses, doses above 2,000 international units can lead to problems absorbing vitamin A, another important nutrient. Beta carotene is a water-soluble nutrient that is converted by the body into vitamin A. It can be found in foods such as carrots, broccoli, squash, spinach, tomatoes, yams, peaches, liver, egg yolks, milk and butter. Beta carotene is excellent at fighting free radicals in environments that are low in oxygen. There is no recommended daily allowance for it because of the way it is converted. Vitamin A, however, can be toxic in high levels. Selenium is only required in very small amounts, but we must have it if we are to survive. It can be found in nuts like walnuts and pecans. The recommended daily allowance of selenium is 55 mcg. Doses that exceed 400 mcg could lead to hair loss, skin rashes and fatigue. Other trace minerals that are required are manganese and zinc. These minerals are the building blocks of antioxidant enzymes such as superoxide dismutase and glutathione peroxidase. Many foods that you already recognize as healthy contain a good quantity of antioxidants. Incorporating these foods into your diet is the best way to add antioxidants - and thus obtain the benefits ofantioxidants. A Harvard Health report explains that taking a single antioxidant like Vitamin C isn't nearly as effective as creating a "net" of antioxidants, and the best way to do so is by eating foods that are rich in antioxidants. The best news? Even some foods that aren’t typically considered healthy are high in antioxidants, including red wine, chocolate and coffee! While antioxidants are important for boosting the immune system and help the body fight off infections, there is, to date, no solid evidence that antioxidants will help prevent aging. Many products such as vitamin supplements and even cosmetics boast of containing antioxidants that will help prevent the body or the face from the effects of time. A study conducted by the Institute of Healthy Aging at the University College of London showed that the main reason for this belief is a fundamental error in the understanding of what actually causes the body to age. Antioxidants will, however, keep you healthy as you age, which can result in a longer and happier life. There's a war going on for your cells and antioxidants are your primary weapons. Eating foods rich in antioxidants helps keep the body healthy and should be consumed daily, preferably at every meal. If you do choose to take a supplement, read the bottle carefully to be sure that you are not overdosing yourself. Even with something as healthy as antioxidants, there can be too much of a good thing. It's worth noting that most if not all the benefits of antioxidants can be available from your diet. Just include lots of really fresh fruit and vegetables on a daily basis and you will benefit from these protective properties described above. Organic fruit and vegetables tend on average to be higher in vitamin and mineral content. Of course, you can take vitamin supplements such as vitamin C as an insurance policy but the most effective way to obtain some of the benefits of antioxidants is to create a "net" of them (as mentioned above) by taking them in their natural forms - all the time! If you want to buy antioxidants in capsule form there is plenty of choice here at Amazon. Buy the best quality you can afford for best results. Please see some of the links below for more about the wonderful benefits of antioxidants and how you can find them in fruits and organic living foods - as well as well-selected vitamin and mineral supplements. 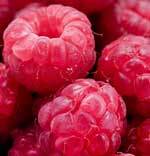 Berries, such as raspberries (pictured above) are an excellent source of antioxidants. Why Take a Vitamin and Mineral Supplement?